DETROIT -- Top European automotive executives expect the region's new-car sales to grow for a third straight year in 2016, but they say the overall volume will continue to trail the record high of more than 16 million reached in 2007. "Europe will grow at a reasonable rate in 2016, but not at all-time high volumes previously seen in a number of the markets,” Daimler CEO Dieter Zetsche told Automotive News Europe on the sidelines of the auto show here. Volvo CEO Hakan Samuelsson said Europe is "finally" rebounding from the euro crisis and the Greece crisis, helped by recoveries in southern European markets. "The markets are coming back. The southern European countries are coming back, such as Spain and Portugal," Samuelsson said, also at the show. Ford of Europe CEO Jim Farley said he sees "continued modest growth" in Europe as a whole, as the south helps to offset slower gains elsewhere. "We're really seeing good solid growth in southern Europe for the first time in a long time," Farley said in an interview. Sales in Spain and Portugal rose more than 20 percent last year and Italy’s volume increased 16 percent, according to data from European carmakers association ACEA. Powered by forecast gains in France, Spain and Italy, Europe’s new-car registrations are expected to grow more than 3 percent to 14.46 million vehicles in western and eastern Europe this year, according to IHS Automotive, regaining roughly half of the market’s losses since volume peaked nine years ago. PwC and LMC Automotive see sales in Europe rising to 14.6 million in 2016. While sales in most Mediterranean countries are forecast to keep growing, UK sales, which reached an all-time high of 2.63 million in 2015, are forecast to cool, according to the Society of Motor Manufacturers and Traders (SMMT). "The past four years have seen a remarkable period of sustained growth, and the outlook remains positive with every reason to expect the market to hold broadly steady in 2016," SMMT CEO Mike Hawes said in a statement. John Leech, UK head of automotive at analyst firm KPMG, believes the market’s car sales have peaked. "My forecast is that new car sales will slip back 1 per cent in 2016, with the first half of the year stronger than the second half," he said in an emailed statement. In Germany, registrations in 2015 rose 5.6 percent to 3.21 million while France climbed 6.8 percent to 1.92 million. Denis Martin, PSA/Peugeot-Citroen's European operations chief also is cautiously optimistic about sales for this year. "It may be slower in 2016 than it was in 2015. As you know, our world is chaotic. There are different issues in each country,” Martin said. "But I am optimistic by nature, so I expect that it will be better than our forecasts." 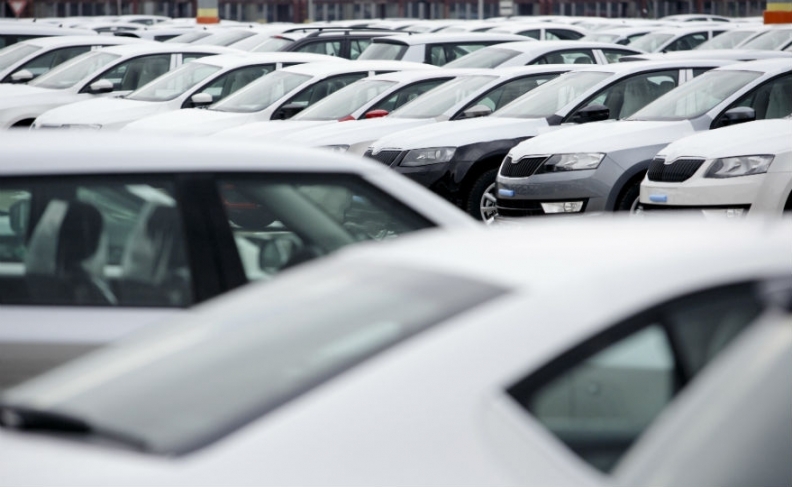 Registrations in the EU and EFTA markets rose 9.2 percent to a six-year high of 14.2 million vehicles last year, according to data released by industry association ACEA on Friday. ACEA said volumes are only now returning to pre-crisis levels. "The trend is positive but, in absolute terms, volumes remain low," it said in a statement.